An 18-year old girl in India named Uma Oram was talking to a relative on her old Nokia 5233 phone. In the middle of the conversation, Oram plugged the device into an outlet to charge the battery, and that is when tragedy struck. 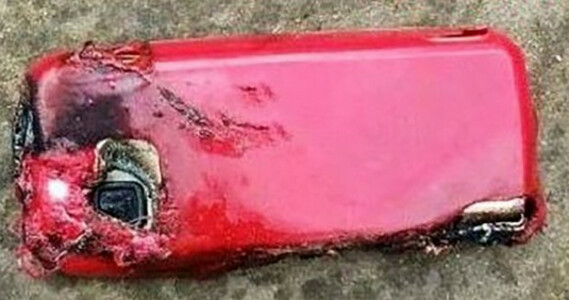 The phone exploded, killing the teen. According to a news report, "Uma, who was knocked unconscious and suffered injuries to her hand, leg and chest, was taken to a local hospital, where she died." The Nokia 5233, launched in January 2010, is a touchscreen smartphone that uses pressure-sensitive resistive technology. The phone is still being sold on Amazon India for 2,999 Rupees (equivalent to $46 USD at current exchange rates). Current Nokia licensee HMD Global released a statement making it clear that this older model has nothing to do with the handsets it currently builds with Nokia branding. Since Nokia no longer produces handsets and doesn't support its older models, it is unclear exactly whom might be held responsible for the girl's demise. The police have started an investigation and the victim's body is going through an autopsy conducted by the Medical Examiner in the district of Kheriakani. May be a non oem battery or charger is culprit. I think it's neither. We've been using dangerous battery tech for way too long. Maybe the richest company in the galaxy will surprise us? Or...at least make consumer swappable batteries a thing again. Horrible what happened to this poor girl... unfortunately this will happen more often until regulations catch up to the severity of this. Regulate an 8 year old device? I can understand if this was a brand new phone or even one released within the past 2 to 3 years, but this was an 8 year old device. If it still had the original battery then that’s really bad, and like the above commenter mentioned it’s likely they had a third party battery or a different charger. Heck, anytime you buy a phone like that off a site like eBay you’re almost guaranteed to get some cheap Chinese charger. I know from first hand experience. Phil...I know that lol. I'm talking about current manufacturing policies / standards for devices made now and onward. Efficient and safe battery tech alternatives have been around for a while now, and we're due for an upgrade in convenience and piece of mind. You both know that charging while on call isn't a very safe thing to do right? Of course, it's unfortunate for the girl but safe battery or old tech, she shouldn't have plugged it in while the phone is live. Or at least, she should've waited for the call to end. I don't think a phone that old would have the original battery so it is probably a bad battery that wasn't manufactured well. Well that's just really sad. 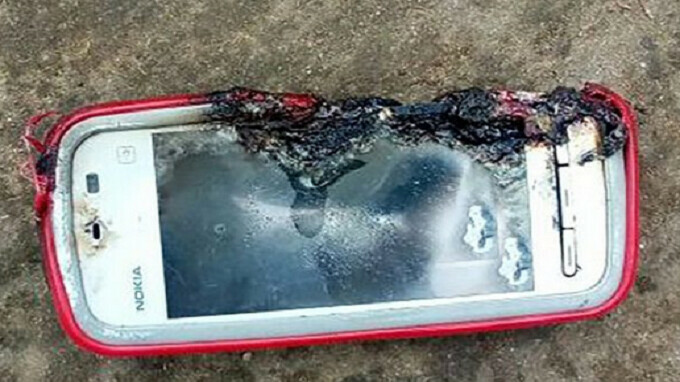 But I'd never want to recommend using a very old phone specially if it's nearly a decade old cause apart from plenty of reasons, batteries that old have so many risks. But the biggest mistake here is using the phone extensively while charging. Nearly no manufacturer is safe from this but they also did what they could by giving out warnings time and time again. That's why I try my best to never use something that's charging. Kids these days however seem like THEY need a USB power cord attached to them at all times. That's why our people need to upgrade. That's what China's Xiaomi is there for. Cheap smartphones for people who can't afford superior albeit expensive smartphones. They're sturdy enough not to explode. Unfortunately not a lot of people in our country know this and can't even afford.. Most are still stuck with previous decade tech unlike other countries. I'm just glad at least we're not nor kor. God rest her soul. My sympathies to her family, this is unacceptable. Dangerous toys are immediately recalled, and pulled from the market. This should hold true with any consumer goods. All the more reason to move to newer battery technologies like solid state batteries and graphene batteries. My condolences for her family. Using a phone with charging attached, especially during call session is not recommended at all. I try that several time and phone temperature easily hikes. Probably explains why it was plugged in while she was using it. That's a really old phone ffs. Why even made a headline? Calling while charging the phone never gave good results. Use the speaker if u need.